The art in each of these coloring books is 100% original and was completely conceived of, hand-drawn and designed by yours truly! As an energy healer, I bring through magical energy as I draw. So, as you color, you're also receiving energetic support and downloads in the form of animal magic, mermaid magic, etc. Many of the pets in the HeartFULL Dogs and HeartFULL Meow coloring books were also featured as cards in my Messages from the Dogs oracle deck and my Messages of Meow oracle deck)! And many of my original Animals of Inspiration illustrations are also available on tees, mugs, phone cases, and more in my RedBubble shop! 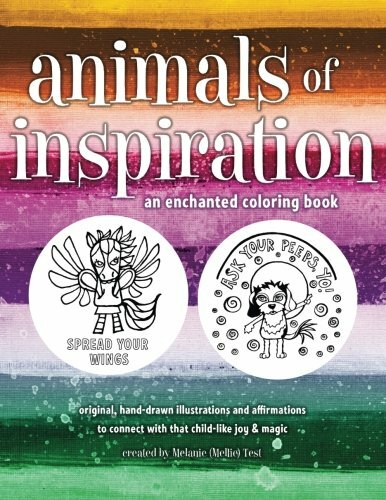 The Spirit Animals digital coloring book includes 12 original illustrations. Purchase Print Coloring Books on Amazon! As an independent artist and illustrator, it’s actually more economical (for both you and I) to use print-on-demand services (and free shipping with Amazon Prime!) through Amazon! 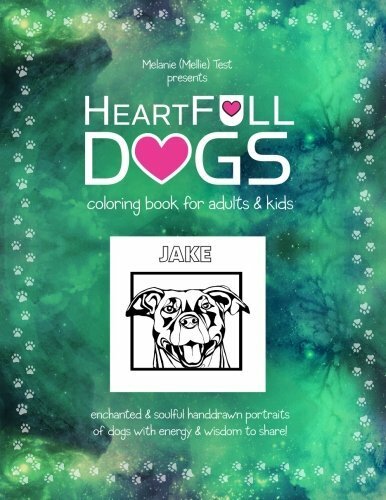 HeartFULL Dogs Coloring Book for Adults and Kids: An Enchanted Pets Coloring Book of Dogs for Adults and Kids! 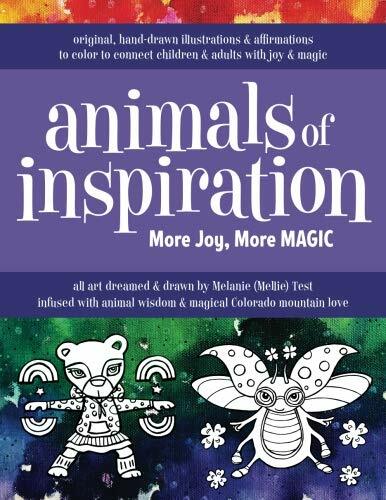 Animals of Inspiration Coloring Book: Connect to childlike wonder, joy & magic! 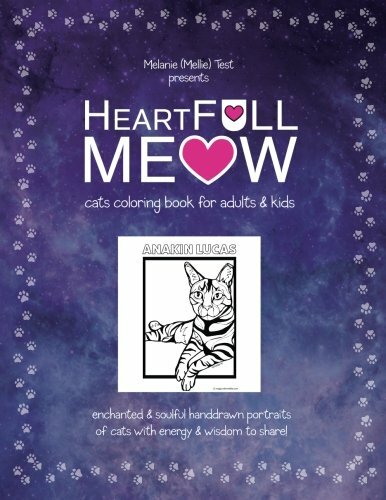 HeartFULL Meow: Cats Coloring Book for Adults and Kids: An Enchanted Cats Coloring Book for Adults and Kids! 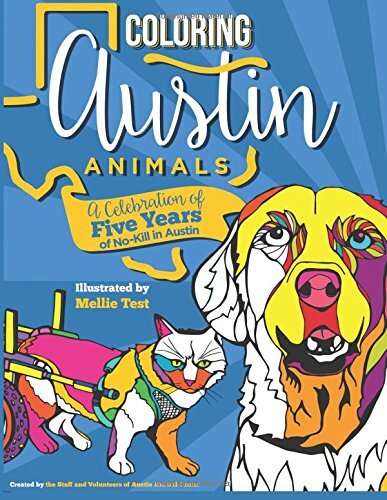 I was commissioned to illustrate coloring pages for each of 22 handpicked animals, and to layout/design this colouring book as a beautiful evergreen fundraising opportunity to support their doling out of LOVE to these sweet animals. "This year, Friends of the Pound have produced a beautiful Colouring Book featuring 22 unique portraits of dogs and cats from among the thousands that we have rescued, fostered and rehomed over the years since 2000. This one of a kind Colouring Book is suitable for young and old alike. By purchasing this book you not only gain hours of pleasure from bringing these beautiful fur-babies to life with your choice of crayons, pencils, paints or pastels, but you also help us to continue our important work of rescuing abandoned animals in the Tweed Shire and beyond." You don't HAVE to live in Australia - you can also message the pound directly via FB to arrange purchase and overseas shipping. This is a lovely organization, and their work is so near and dear to my heart! Want Something SUPER Special & Personalized? Order your Own Custom Pet Coloring Page!